Colette. Colette, 1948, photograph. John Craven / Hulton Archive / Getty Images. French author Colette was also a mime and dancer who appeared on stage scantily clad. Most significantly, Colette was a great writer whom Marcel Proust called ‘‘maitre’’ (master). A Happy Childhood. Colette was born on January 28, 1873, in Saint-Sauveur-en-Puisaye in the departement of Yonne, as Sidonie Gabrielle Colette, daughter of Jules and Sidonie Colette. Her mother, the daughter of journalists and writers, had been married before and had two children from her first marriage. Sidonie was a remarkable woman who later figured importantly in Colette’s autobiographical works and, as Sido, was the model Colette idealized in the later part of her life. Her father was more remote and so preoccupied with his obsessive love for his wife that the child felt he had little time for her. An Early Marriage. Colette had a happy childhood. She grew up in an era commonly referred to as the Belle Epoque (Beautiful Era), during which Europe—particularly France and Germany—experienced an extended period of peace and prosperity. This lasted until the outbreak of World War I in 1914. The Colettes, however, were plagued by increasing financial difficulties, and when Colette reached the age of seventeen, her future seemed threatened. In France at the end of the nineteenth century the only prospect for a respectable middle-class girl was marriage, but the Colettes could offer no dowry, and it would be difficult to find a husband to accept a woman with no dowry. The solution to this problem was thirty- five-year-old Henry Gauthier-Villars, son of a well-known publisher and with whom Jules Colette had been acquainted. Henry Gauthier-Villars, better known as Willy, was a music critic, journalist, and manager of a writing mill. Though notorious for womanizing, he had been living for three years in a stable relationship with a woman named Germaine Servat who had recently died and left him with a small son. Because of his dubious reputation, Willy could not hope to marry a rich socialite, and was happy to marry the young Colette. For her part, Colette was dazzled by the worldly Willy and eager for the adventure a life with him seemed to promise. Becoming Madame Willy. In 1893 Colette became Madame Willy, but her life for the next thirteen years in Paris would be one of frequent disillusionment, for Willy soon reverted to his old ways. For a long time she was seriously ill with an unexplained malady. It was soon after her recovery that Willy suggested she write down some of her stories about her childhood, including some potentially scandalous details—which she obediently did. At first he put the stories aside, but he later decided that he had made a mistake and rushed them to print under his own name. Claudine a l’ecole (1900, published as Claudine at School in 1930) thus became the first of the Claudine series. Sidonie Gabrielle Willy became Colette the writer. Featured in the Claudine series was a wild, clever, sensual, outspoken, and both tender and cruel girl who was a version of Colette herself. The girl discovers lesbian affairs between headmistresses and teachers, has visits by a lascivious doctor, and has many racy conversations. The series became so popular it extended to Claudine collars, scent, haircuts (modeled on Colette’s), and a play Willy directed based on the second book of the series. In the starring role was the Parisian music-hall actress Polaire, whom Willy called one of his ‘‘twins.’’ He was often seen on opening nights with Polaire on one arm and her ‘‘twin,’’ Colette, on the other. Seeking Independence. Claudine s’en va: Journal d’Annie (1903, published as The Innocent Wife in 1935), clearly marks the beginning of the end of Claudine. The first- person narrative is transferred to a new heroine, Annie, one of Claudine’s friends and an alter ego of both Claudine and Colette. This parallels Colette’s plans to leave Willy and find her independence. From 1904 to 1907 Colette prepared to leave Willy. However, because Willy’s name was on her works and he was receiving almost all her royalties, Colette could not afford to leave. Instead, she set about training herself for a new career as a dancer and mime. Female Friends and Lovers. After leaving Willy, Colette found comfort among new friends and in liaisons with Natalie Barney and the Marquise de Belbeuf, known as Missy. In the 1932 Ces Plaisirs (published as The Pure and the Impure in 1933), Colette wrote about the way in which women who are hurt by men defend themselves by turning toward other women for affection and sympathy. In writing it was risque enough, but expressed on stage at the Moulin Rouge—mimed as a female-to-female embrace, danced nearly naked—it brought the curtain down. Colette was the new scandal of Paris. New Themes. Liberation became the theme of the next Colette work, which confirmed her talents. La Vagabond appeared in serial form in La Vie Parisienne (1910), was published in book form the same year, and was later translated as Renee la Vagabonde in 1931 and again as The Vagabond in 1954. It is considered by most critics to contain her best writing. In the work she found her voice, gave nods to the earlier characters of the Claudine series, and gave birth to an anagram-like name and protagonist, Renee Nere—clearly Colette’s double. New Family. While her protagonists rejected the love offered by suitors, Colette was succumbing to it. In December 1910, having had the short story ‘‘Le Poison’’ recently published in the daily paper Le Matin, Colette met subdirector Henry de Jouvenel. Jouvenel was of aristocratic descent and, like Willy, ambitious and a womanizer. In September 1911, Colette moved in with him, and in December of the following year married him, when she was two months pregnant and three months into grieving the loss of her mother, who had recently died. Still, Colette seemed content. She had continued doing mime and was still writing, particularly short stories, and Entrave (1913, published as Recaptured in 1931), sees a once-free Renee now ‘‘hobbled’’ by needs, nostalgia, and regret, as well as a male foil who is inferior in talent and brains and who is a ‘‘big, dense male.’’ Colette gave birth to Colette-Renee de Jouvenel, whom she nicknamed Bel-Gazou, on July 3, 1913. The collection of short stories L’Envers du music-hall (1913, published as Music-Hall Sidelights in 1957) was well received, but Colette’s marriage began to come apart soon after Jouvenel was mobilized as a reserve officer in August 1914, at the start of World War I. The couple divorced in 1924. Wide Acclaim and Lasting Love Affair. After World War I, a conflict that devastated Europe, Colette’s career blossomed. She published Cheri in 1920, and soon became friends with avant-garde writer Jean Cocteau. In 1925 Colette met Maurice Goudeket, a businessman turned journalist sixteen years her junior, with whom she was to have her longest and happiest liaison. By the end of the 1920s, Colette was considered one of France’s greatest living writers, a reputation she cemented with Sido (1929), a book whose heroine was based on her mother. Colette and Goudeket were married on April 3, 1935. Colette stirred controversy yet again for her actions during the Nazi occupation of France in World War II. The Nazi-controlled French government, called the Vichy government, was reviled by members of the resistance movement. Colette, however, cooperated with the government, perhaps out of concern for the safety of her Jewish husband, whom she hid in her attic during the war. In 1944 she published the popular novel Gigi, which was adapted as a successful Broadway play in 1951 and, in 1958, a major Hollywood musical. Colette was awarded France’s Legion of Honor in 1952. She died in 1954 and was given a state funeral. Sarah Bernhardt (1844-1923): Parisian Sarah Bernhardt was the most famous actress of her era, renowned for her tragic roles. Mary McLeod Bethune (1875-1955): African American educator who founded Bethune-Cookman College in Daytona Beach, Florida. Marchese Guglielmo Marconi (1874-1937): Pioneer of the radiotelegraph system who shared a Nobel Prize in Physics with Ferdinand Braun in 1909. Marcel Proust (1871-1922): Profound and prolific essayist and novelist who spent his life on one of the most revered works of the century: Remembrance of Things Past (1913-1927). Wuthering Heights (1847), a novel by Emily Bronte. In this classic, the two main characters love each other deeply but are torn apart by class differences. Another Country (1962), a novel by James Baldwin. African American author Baldwin details the lives of young bohemians in New York's Greenwich Village neighborhood during the 1950s. Rubyfruit Jungle (1980), a novel by Rita Mae Brown. In this much-acclaimed book, tomboy Molly falls in love with another woman. Forbidden Love: A Harrowing True Story of Love and Revenge in Jordan (2003), a novel by Norma Khouri. In this book, an Arabian Muslim woman falls in love with a Catholic man with dire consequences. Colette’s Influences. Her mother Sidonie—Sido for short—was Colette’s greatest influence and strongest supporter; in Colette’s book entitled Sido, Colette writes of her childhood and her mother’s nurturing and powerful influence. Theatrical Style. The theater had obviously had a potent influence on Colette, for Cheri her best-known work, reflects the shapes and sounds of theater experienced by Colette. The same penchant for rhythm is found in all of her writing, though it is more mature in the later works, just as is her projecting of herself onto her characters. These characters, like Colette, search for love and autonomy, but they come to accept their solitary destinies by embracing fate. They sacrifice happiness of love through love of liberty. Colette’s Influence and Impact. Writers like Proust, so affected by works like Cheri, would express their gratitude and admiration. Proust, in fact, admitted to being ‘‘moved to tears,’’ both out of awe and envy that particular scenes had made his own attempts at similar scenes look pathetic. Proust declared his admiration for Colette’s insight and sureness of touch. In general, as an exemplar of her time, Colette engaged in the ‘‘hothouse atmosphere of the fin de siecle,’’ the changing of both moral standards and women’s roles. 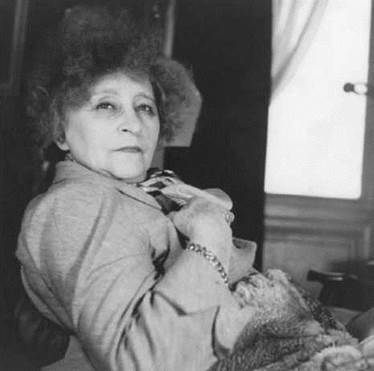 Colette was a part of the influence on such change, in person and through her writing, until her death. For example, her state funeral was the first given a divorced woman by the French Republic. Six thousand people walked by her bier in the Palais-Royal to pay their respects. Most of them were women. Whether they realized it or not, Colette had in some way influenced the way they dressed, thought, felt, and lived. The Vagabond. While several of her works have earned accolades, many others also stand out as most often read, studied, and discussed—among them The Vagabond. The Vagabond was perhaps the first work to evidence overall harmony of construction, and it was the first to receive wide acclaim as a major literary achievement—a classic example of the roman d’analyse (novel of analysis), both restrained in tone and tightly knit in structure. It also has a lively and convincing setting, and is a moving and profound study of a very individual woman, one who has characteristics which remain significant today. Hers is a continuing feminine dilemma, but it is as well that of any human being who, in isolation, faces up to the realization that he or she is responsible for his or her own destiny. The final part of the novel in particular exudes a poignant existential sadness that moved readers and critics alike. The critic and journalist Andre Billy declared at the time that Colette merited the terms of praise that had once been applied to Franyois-Auguste-Rene Chateaubriand: ‘‘She has invented a new way of being sad,’’ he wrote. 1. What do you think Colette means when she uses the word ‘‘freedom’’ in her work? Where does she describe or tell a story of freedom? How does this match your understanding of the word? 2. Colette’s 1944 novel Gigi was made into an Academy Award-winning musical in 1958. Read the novel and then watch the film. Do you notice any major differences between the two? Why do you think the film version was so popular? 3. The ‘‘Belle Epoque’’ is a period in European history lasting from the end of the nineteenth century until the beginning of World War I marked by a flowering in the arts and sciences. Use your library and the Internet to find out more about art, science, culture, and politics during this period. Select one major scientific advancement or artistic work and describe and explain it in the context of Belle Epo- que Europe. 4. Like Colette, author Zelda Fitzgerald published some of her work under her famous husband’s name. Use your library and the Internet to find out more about Zelda Fitzgerald’s work. What were the consequences of her decision to let her work be credited to F. Scott Fitzgerald? How do those consequences differ from what Colette experienced? Harris, Elaine. L’Approfondissement de la sensualite dans l’ouvre romanesque de Colette. Paris: Nizet, 1973. Hollander. Colette et Willy: Claudine en menage. Paris: Klincksieck, 1978. Le Hardoin, Maria. Colette. Paris: Editions Universitaires, 1956. Colette. New Brunswick, N.J.: Rutgers University Press, 1960.
Letters Frangaises (August 1954): no. 529. Revue d’Histoire Litteraire de la France. (January-March 1960) vol. 60. Studies in Philology (January 1963): vol. 60.